Founded in 1944, the mission of NSF is to protect and improve global human health. Manufacturers, regulators and consumers look to NSF to develop public health standards and certifications that help protect food, water, consumer products and the environment. As an independent, accredited organization, they test, audit and certify products and systems as well as provide education and risk management. 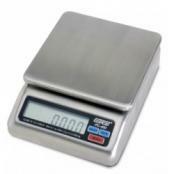 Our selection of NSF approved scales are used in many applications involving food and restaurants. For years Central Carolina Scale has been providing our customers with durable foodservice scales and products for the food service and restaurant industries. A&D FS-i Over/Under Check Weighing ScalesA&D FS-i Series of Checkweighing Scales feature large, bright comparator lights, stainless steel construction, and three user-selectable resolution levels. FS-i Checkweighers satisfy both NSF and HACCP requirements. 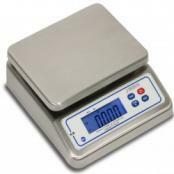 These durable scales are ideal for food processing and over / accept / under check weighing applications. NTEP Certified and Measurement Canada approved models available. Detecto Mariner WPS10 Portion ScaleDETECTO Mariner IP67 washdown portion control scale is submersible underwater for easy clean up that is necessary in messy food service industry applications. 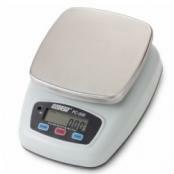 The NSF-certified stainless steel scale offers a dual power source of rechargeable battery power or 120V AC adapter (included) with a watertight AC plug on the side. Doran PC-500 Portion Control ScaleWashdown Safe IP66. The Doran PC-500 features a soft silicone seal that protects against washdown spray and allows a high level of accuracy. Battery Powered 1,000 hour battery life using alkaline batteries. The automatic shut-off feature will power down the scale when not in use. 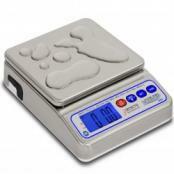 Doran PC-400 Portion Control ScaleThe choice is yours. Use the included AC plug-in adapter or the internal rechargeable battery for total portability. Recharge the battery in less than four hours with the AC adapter; you can even use the Doran PC-400 portion control scale while it's recharging. Detecto PS30 Portion Control ScaleDETECTO PS30 compact countertop portion scale boasts a hefty 30 lb capacity and accuracy to 0.1 oz. The NSF-certified stainless steel PS30 is versatile enough for use in food service portioning, industrial, shipping, plant processing, and general purpose weighing. 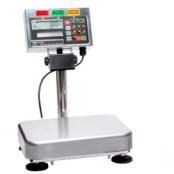 The digital scale weighs in pounds, ounces, pounds/ounces, pounds/ounces with fractional 1/8th ounce, and kilograms.